Are you looking for Garage Door Repair in Wake County, NC? RJ Garage Door Service has been providing reliable Garage Door Repair in Wake County, NC for more than 15 years with precision and great customer care. Whether something is wrong with the garage door opener, garage door motor, garage door springs, garage door rollers, garage door tracks or garage door cables you can rely on RJ Garage Door Service to fix the problem promptly and professionally. 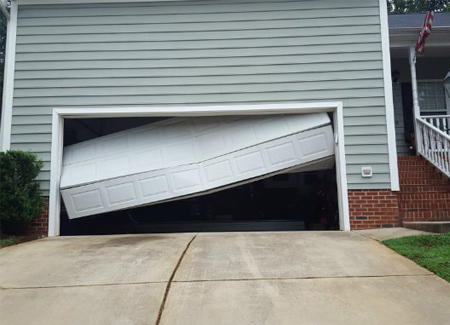 Our Garage Door Repair technicians will identify the problem, give a free Garage Door Repair estimate in Wake County, NC, and use their experience to have your garage door up and running properly again. At RJ Garage Door Service, we have a team of certified garage door technicians that will get the job done right for you. At RJ Garage Door our mission is to have a beautiful, functional and well-installed garage door ready for you at your home or office. We provide prompt and professional Garage Door Repair in Wake County, NC that is precise as well as correctly done. RJ Garage Door Service specializes in both residential garage doors and commercial Garage Door Repair in Wake County, NC. Whether you need service for your garage door at home or the garage door at your business needs attention, RJ Garage Door Service is the right garage door repair service for you. We are an experienced and reliable garage door company and you can trust us with whatever Garage Door Service work you need done. Just see what our past clients say about our Garage Door Repair in Wake County, NC. The warm words from our happy clients motivate us to bring the same satisfaction to every client we get. For more information about Garage Door Repair in Wake County, NC, contact RJ Garage Door Service at 919-438-7447.